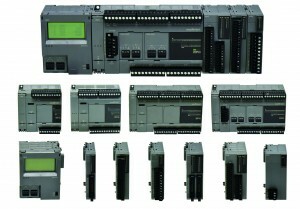 IDEC FT1A SmartAXIS controllers were designed with a focus to provide users with unique features and advanced functions for applications that require limited I/O. FT1A SmartAXIS controllers are available 12, 24, 40, and 48 I/O CPUs . 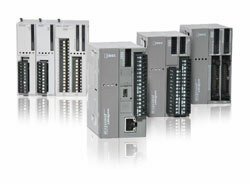 The FT1A controllers are equipped with features that you can’t find in any other competitors PLCs. 10A relay contacts, integrated analogue inputs, embedded smart LCD/keypad, embedded Real-time clock, embedded RJ45 Ethernet port for remote connectivity and Modbus TCP communication, SD memory slot for data logging and many other features at a very competitive price. Many small scale applications such as simple machines could benefit by using a programmable graphical interface along with a discrete and analogue controller and I/O, but don’t have the panel space or the budget for separate components. The FT1A SmartAXIS Touch address this need by combining operator interface and control in a single compact package, all programmable with IDEC’s PC-based software. The FT1A Touch is available in 12 I/O and 14 I/O configurations with analogue I/O expansion capability suitable for advanced analogue monitoring and control. With so many colour combinations, an intuitive and crisp graphical user interface can be constructed with unparalleled visibility. The 65K TFT colour unit is rated at 400cd/m2, while the monochrome unit is rated at 740cd/m2. With 32 levels of brightness control, the backlight can even be adjusted according to the surrounding conditions. The FT1A Touch can easily be configured to communicate with DEC or other PLCs such as Siemens, Rockwell (Allen Bradley), Mitsubishi, Omron, and many more. MicroSmart FC6A , a powerful PLC with up to 520 digital I/O and 126 analogue I/O. The MicroSmart FC6A provides the power of a PAC (programmable automation controller) in a low-cost controller with a small form factor, making it an ideal fit for demanding applications. 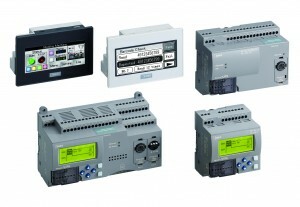 Three MicroSmart PLC models are available, each with 24 Vdc or 100-240 Vac input power. The 16 I/O model has 9 inputs, and 7 relay or transistor outputs. The 24 I/O model has 14 inputs, and 10 relay or transistor outputs. The 40 I/O model has 24 inputs, and 16 relay or transistor outputs. Each model also includes an integral 0-10 Vdc analogue input. The 16 and 24 I/O models can accommodate one plug-in analogue cartridge, and the 40 I/O model can accommodate two plug-in analogue cartridges. Each cartridge has two analogue I/O points, either two inputs or two outputs. All models have a built-in RJ45 Ethernet port, and an RJ45 RS232C/RS485 serial port. A plug-in cartridge adds an additional RS232C/RS485 port. An SD memory port and a mini-B USB port can each be used for data logging, program storage/transfer, firmware updating or recipe storage. The Ethernet port supports the Modbus TCP protocol, and the serial port supports the Modbus RTU protocol. IIoT capability is provided by custom web pages which can be configured for remote monitoring and control. 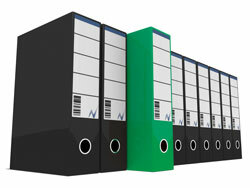 These web pages are stored in the MicroSmart PLC, which functions as a web server when its built-in Ethernet port or the HMI Ethernet port is connected to the Internet. These web pages can be accessed via any web browser running on any Internet-connected device such as a remote PC, a tablet or a smartphone. Up to 4 expansion modules can be added to the 16 I/O model, and up to 15 expansion modules can be added to the 24 and 40 I/O models. These modules can be of any type with no restrictions as to the number of analogue and specialty modules. This gives the 40 I/O MicroSmart PLC the capability to handle up to 520 I/O with a maximum of 126 analogue I/O, much more than a typical micro PLC. The 40 I/O model also includes support for the CAN J1939 protocols. The CAN J1939 protocol is often used in diesel engine applications for various types of vehicles and vessels, and for mobile power generators. Please fill in the form below to get in touch and we’ll get back to you.